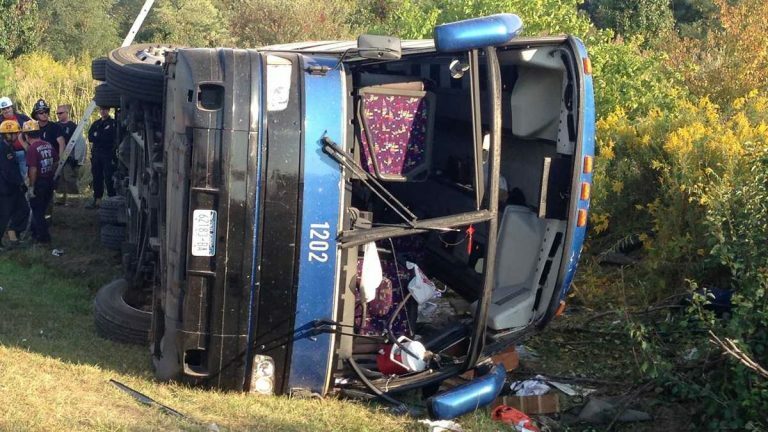 The driver of a tour bus that crashed in Delaware last year, killing three passengers, has pleaded guilty to criminal charges. Jinli Zhao of Flushing, New York, pleaded guilty Thursday to three counts of operating a vehicle causing death. He faces a maximum of 7 years imprisonment. The bus overturned on a curved exit ramp as it was returning 49 passengers to New York following a three-day sightseeing tour. A bus company official said the 57-year-old Zhao reported taking a detour because of congestion on Interstate 95. Hua’y Chen of New York City was pinned under the bus and died at the scene. Idil Bahsi from Istanbul, Turkey, died later that day at a hospital. Another passenger, Jyostina Poojari from Mumbai, India, died of her injuries about two weeks later.